With school traffic congestion fast approaching, VDOT is applying a novel engineering technique to one of Hanover County’s most troublesome intersections. 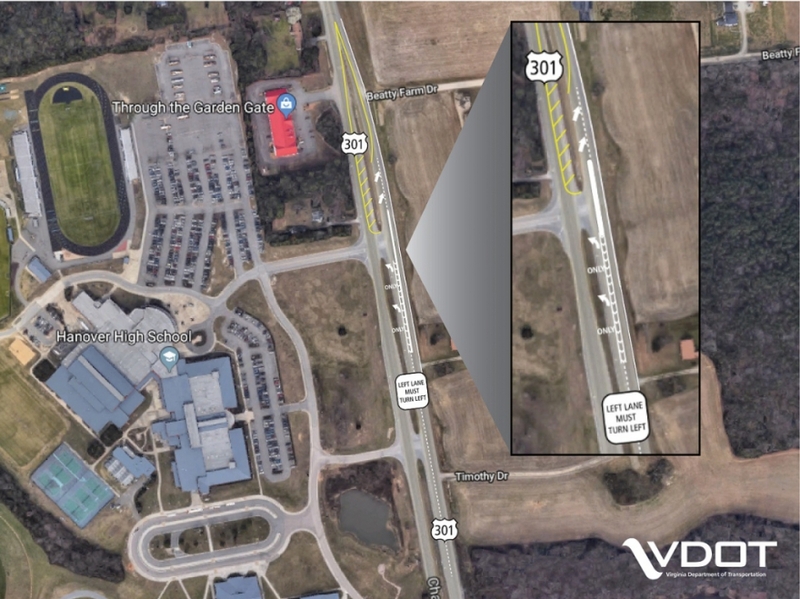 VDOT is bringing what it calls a “Green T” intersection to a severely congested area in front of Hanover High School on U.S. 301. “For this particular area, there was a need to increase safety and address congestion,” said VDOT’s Jessica Cowardin. She says the Green T is a new concept that keeps traffic moving constantly in one direction and improves the turn lane, without the use of a traffic light. VDOT has a link to tell you how to navigate it. Look for construction on 301 the rest of the week. They plan to have it finished in time for the first day of school, next Tuesday (9/4).